Similar in its ranch style as the Carley by Halifax Homes, the Charlie provides just over 1700 sq. ft of comfortable living space. A quaint front porch is robustly supported by a spacious SUV-ready 2-car garage with attic storage and pull down stairs. The garage is secured with Wayne Dalton raised panel garage door and electric door opener. Like all Halifax Homes, the Charlie comes standard with the HomeTeam TAEXX® built-in pest control system with secure outdoor access for pest control service. The jewel of this crown is the massive family room adorned by tray ceilings and a sliding patio door that opens up to roughly 240 sq. ft of outdoor living. Also included in this gem is a stately master suite complete with a garden tub, separate shower stall finished with premium ceramic tile and dual sink vanity. All bedrooms include Progress ceiling fans and quality Mohawk carpet with stainguard and 6lb. carpet padding. Luxury vinyl plank flooring adorns all of the hallways and common areas. 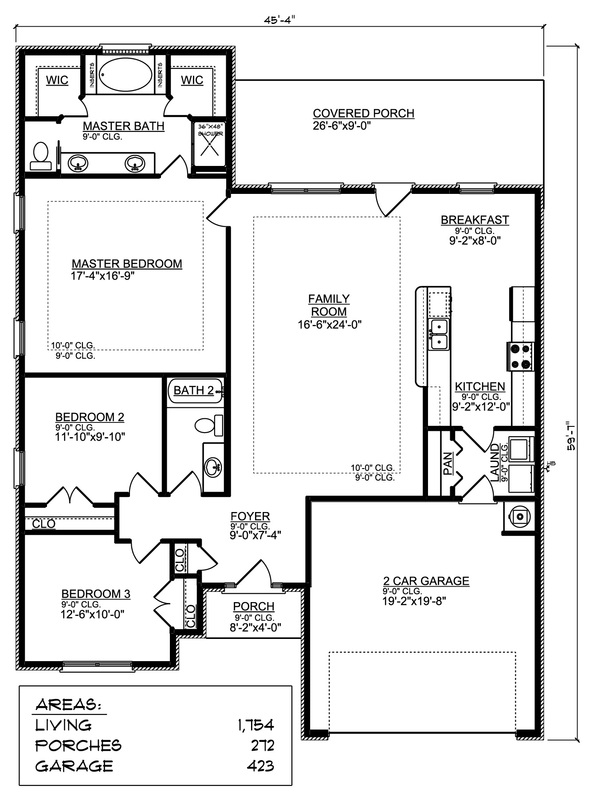 The Charlie serves well as a great starter home for a young couple or single home buyer.